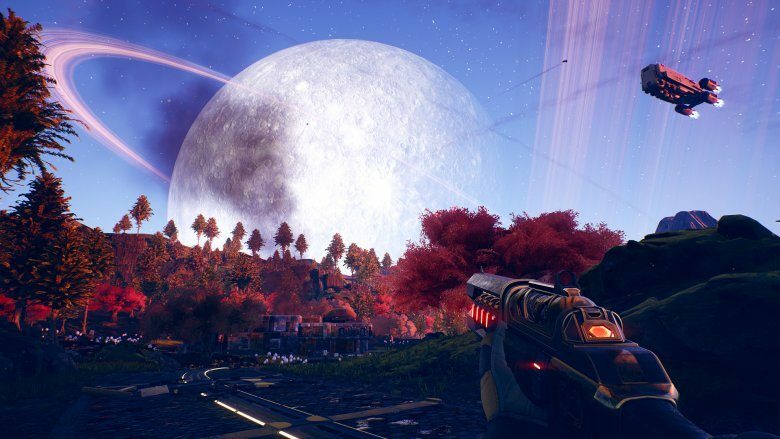 The Outer Worlds gameplay is something we really craved ever since the announcement of the game at the 2018 Video Game Awards. The upcoming space exploration RPG is being developed by Obsidian Entertainment. The studio that was behind both Fallout New Vegas and Pillars of Eternity. 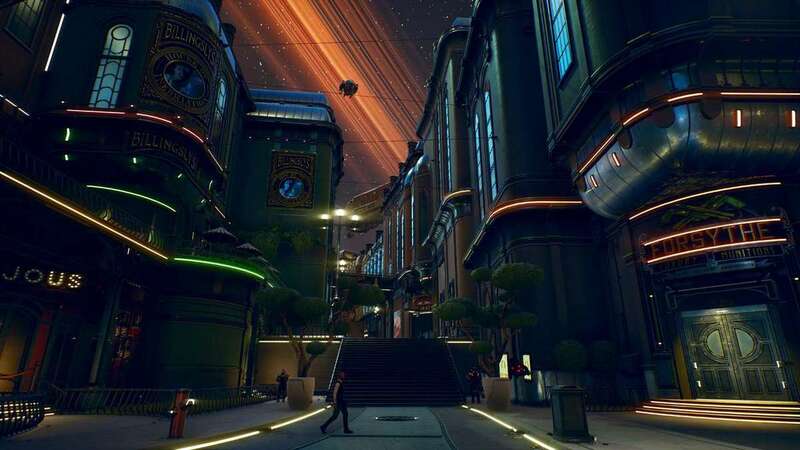 Makes the wait for The Outer Worlds release date even harder. Here’s the video by Game Informer. Word of advice, watch the video muted to better immerse yourself. Then again, won’t hear the in-game sound designs and voice acting. So it’s a double-edged sword. 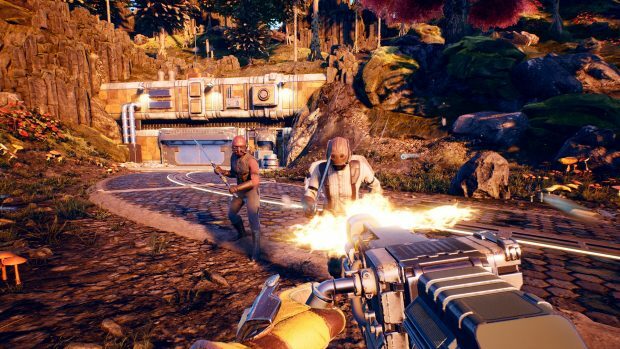 The Outer Worlds gameplay, or well the 14 minutes of it that we saw, gave me a lot of Firefly vibes. Being the captain of a small spaceship and crew. Exploring the uncharted regions of space. Looking for work. The base intent and synopsis of what exactly you’re doing in space is still left ambiguous. But we’ve only just gotten news of the game this month. And now a taste of what’ll be the end game. The video depicts the player character being in their spaceship which had a good amount of decor in the room. Including a katana and an armored mannequin. With each object being intractable. The player then walks past two crew members, one of which we saw in the Game Awards reveal. You then receive a distress signal from one of the inhabited planets by someone being attacked by raiders. After interacting with your crew member, one of the dialogue options had “dumb” next to the option in parenthesis. A big throwback to Fallout New Vegas, which had extra options to dialogues based on a player’s stats and perks. The option here was the player trying to assure his/her crew member that the signal may have just been an accident. Now, this is why I love Obsidian’s writing. When you later track down the source of the distress signal, it literally was an accident. And you’re able to bring up that point again to your crew member. Regarding how it may have been a mistake. The quest itself was basically getting back test subjects and a formula for dental gel. Toothpaste, essentially. Dietary toothpaste, since Obsidian maintains its cryptic sense of humor from previous games. Talking to the raider leader then revealed another familiar RPG aspect. That being the multiple routes you could go to solve a problem. Since you could either intimidate them into giving you the keycard to the facility. Or lie and convince them to leave the facility to talk to the “negotiators” while you take the keycard off their hand. 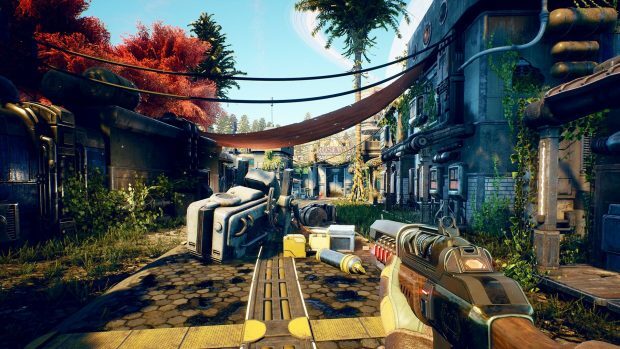 The combat part of the Outer Worlds gameplay reveal bore a resemblance to Fallout New Vegas, but much more refined. With better recoil and movement overall. Health bars reminding me of Borderlands along with a bullet time feature as well. For precision aiming and combat planning. No V.A.T.S though. As for some irks with the trailer (which aren’t a criticism. I mean the game’s in pre-alpha or something). But the animations of the protagonist were a bit stiff. The gun just being pointed forward perpetually is a bit distracting from the nice looking environment. The lack of a lockpick mechanic or animation when picking the shack lock was also bothering. Most likely going to be fixed before the Outer Worlds release date. Obviously, though, these will most likely be fixed and patched up before the Outer Worlds release date. That lies somewhere within 2019. Good luck Obsidian, It’s good that you’re doing what you want.